The Parc St Charles Hotel Downtown- a 121 room contemporary New Orleans hotel has FREE Continental Breakfast and FREE High-Speed Wireless Internet Access. Four blocks to the FRENCH QUARTER. The Parc St.Charles features a restaurant with a view of Lafayette Square. The Parc St.Charles- in the heart of the business and arts districts- is within walking distance to the French Quarter- Convention Center- Superdome- Arena-D-DAY / World War II Museum- Harrahs Casino- and Riverwalk Marketplace. 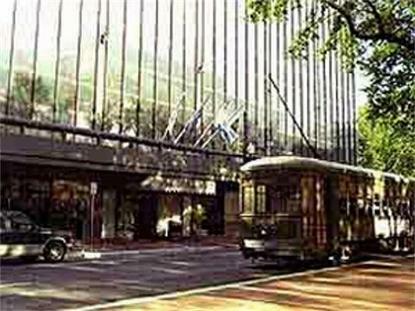 Hotel is located on the St.Charles Avenue Streetcar line at Poydras Street.Hotel is located on Mardi Gras Parade route.